I just wanted to say hello to everyone and tell a little about myself. 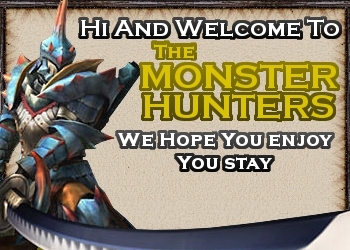 the first time I ever played monster hunter was on the psp tho I didn't get much into it since I was so busy with so much else that I never played on my psp. When it came on the Wii I fell in love tho, so much I only buyed the Wii U just for MHU xD, my BF think it was a waste but after he saw I played close everyday he decided it was good and he got a xbox :p.
I'm a huge fan, I just find it sad that Capcom have made to little progress with it here in EU it is one of the best games ever in my mind, I have never enjoyed a game as much as MH.